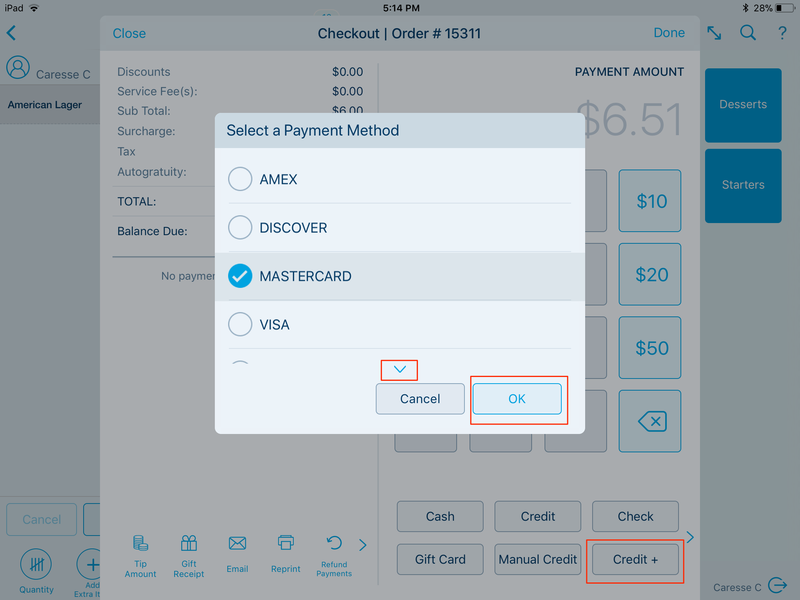 The Credit button is used if your Payment Processor is integrated with Revel. For more information on how to conduct a credit sale, please click here. Credit Manual is very similar to the Credit option. If you are taking orders over the phone, you can use this option to manually enter a customer's credit card number on the iPad. Please note that you will need to enter the required fields: Card Number, Name on Card, Expiration date, and Security code. Credit Plus is simply a reporting tool. In your reports tab, you can view how many payments were taken under a specific payment type. If your payments are not integrated with Revel, you can use this option to keep track of all payments taken under your 3rd party processor. Please note if you use Credit Plus, you are responsible for collecting the funds through your bank or payment processing services. Since Credit Plus is just a reporting tool, no actual funds will actually go through Revel. 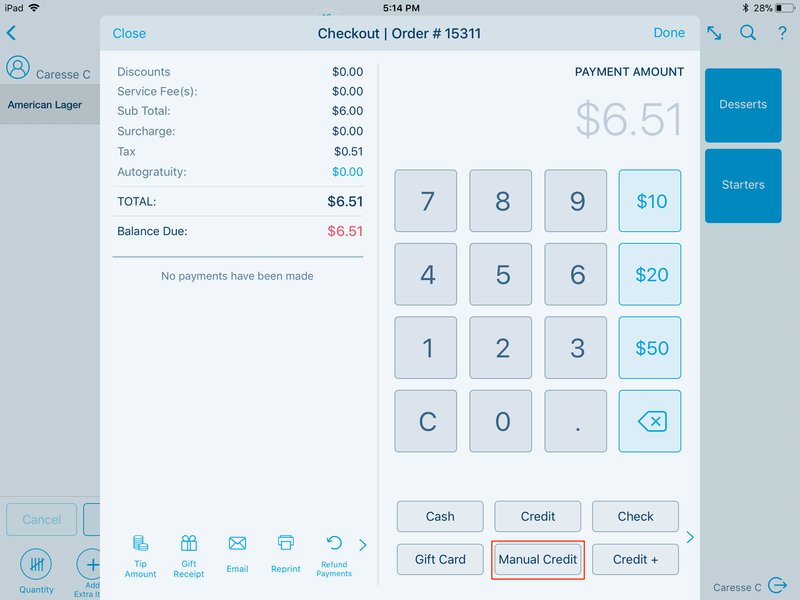 By default, you will have several options listed under Credit Plus: American Express, Discover, Mastercard, Visa, Debit Card, Other, and Trade, House Account, Giftcard. To hide or remove this option from your system, please review how to update "Order and Payment Options" on the Management Console.